Samford’s School of the Arts Interior Architecture program has been making a global impact over the past few years with projects in India, Ecuador and most recently in the Dominican Republic. Students work with clients that have specific needs and then provide design direction and on-site management through a site visit early in the year and a return trip to assist with the initiation of the actual building. 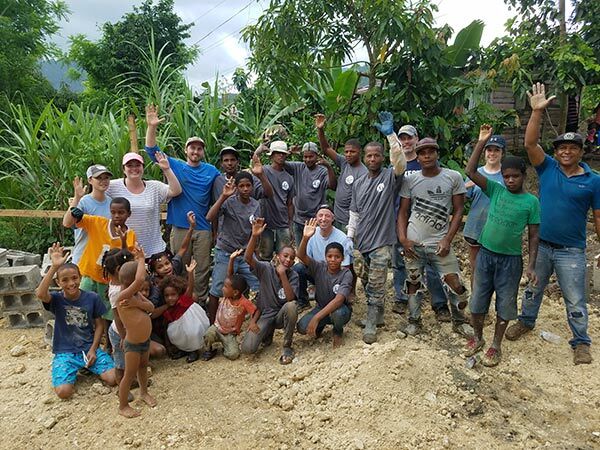 This year, students tackled two design challenges through New Covenant Baptist Church in the Dominican Republic which has also facilitated orchestra tours for School of the Arts students. The first undertaking was to design a new community center in Villa Altagracia and the second was to create a senior living establishment in San Cristobal. The senior living concept is very new to the Dominicans as they typically care for the elderly in family homes. This hands-on experience allows the students to work with real clients and solve problems in the classroom and in the field. As Krumdieck shared this letter with her students she noted, “I want our students to realize the impact they have on individual lives as well as a church and even a country.” These projects have been the prototype for the School of the Arts new Catalyst arts curriculum senior project which allows students across the School of the Arts to gain valuable hands-on experience in their arts area.